Mendelsohn is still developing the concept for the restaurant, which will be announced, along with the restaurant's name, at a later date. See photos of what it might look like. 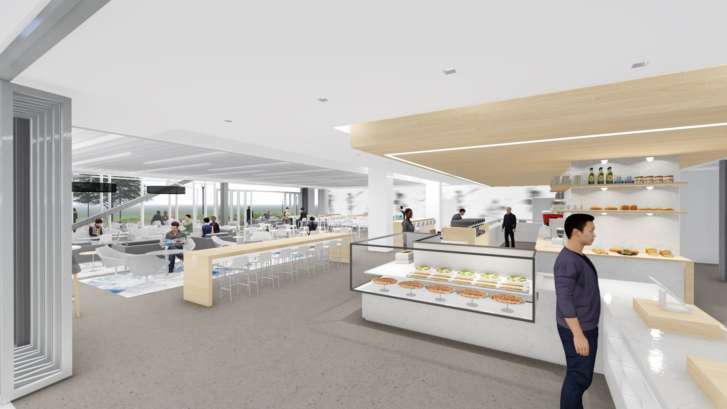 WASHINGTON — Celebrity D.C. chef and “Top Chef” contestant Spike Mendelsohn will open a restaurant at The St. James, a new 450,000-square foot sports, wellness and spa destination that opens next fall in Springfield, Virginia. Mendelsohn is still developing the concept for the restaurant, which will be announced, along with the restaurant’s name, at a later date, a statement from The St. James said. It will include a sit-down restaurant, cafe, lounge and catering. Mendelsohn, whose restaurants include Good Stuff Eatery, We, The Pizza and Santa Rosa Taqueria, is developing a menu for the St. James location that includes burgers, salads, gourmet pizzas and pastas. Mendelsohn will also use locally sourced ingredients. The St. James itself will include a community-supported farm, where its members can pick up locally grown produce. Mendelsohn’s restaurant at The St. James will be open to both members and the public. “I’m passionate about creating healthy foods that not only taste good, but also will meet the needs of people of all ages leading very active lives,” Mendelsohn said in a statement. When it opens next fall, The St. James will be a huge sports, fitness and wellness complex, with fields, rinks, pools, courts and spa services. It will include hockey, soccer, lacrosse, baseball, squash, golf, basketball, volleyball and swimming for both adults and youth. Members will also have access to training programs, camps, clinics and tournaments. The 20-acre St. James campus is at 6805 Industrial Road in Springfield.